Staff Sgt. 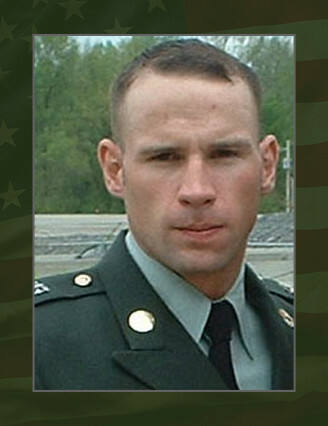 Paul C. Mardis, 25, was a Special Forces engineer sergeant assigned to Company B, 3rd Battalion, 5th Special Forces Group (Airborne), Fort Campbell, Ky.
Mardis, a native of Florida, was born on March 10, 1979. Mardis died July 15, 2004 at Walter Reed Army Medical Center, Washington, D.C., from complications sustained from his injuries. Mardis went on to complete the Special Forces Qualifications Course and then Arabic language training at the U.S. Army John F. Kennedy Special Warfare Center and School, Fort Bragg, N.C. He was then assigned to the 5th SFG in December of 2002 where he participated in numerous combat operations in support of both Operations Enduring and Iraqi Freedom. His awards include the Purple Heart, the Army Commendation Medal, the Army Achievement Medal, the National Defense Service Medal, the Global War on Terrorism Expeditionary Medal, the Global War on Terrorism Service Medal, the Noncommissioned Officer Professional Development Ribbon, the Army Service Ribbon, the Special Forces Tab, the Expert Infantry Badge, the Parachutist Badge and the Air Assault Badge.